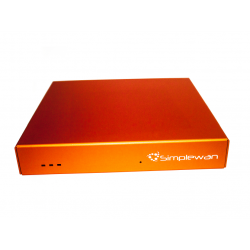 This SimpleWan solution provides a hardware and throughput function based on hosted VM site ability. This is a virtual machine product designed to go in a data center or a large office location that has high bandwidth requirements. This product is ideal for connecting back vMPLS (SD-WAN) from many branch offices to a central point, and is perfect for service providers with multiple data centers. 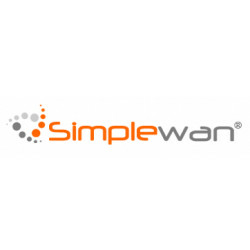 The SimpleWan Firewall system delivers ease of use with centralized management and combines them with active real-time cyber security protection. Overnight instant replacement service for SW Pro, Advanced and Advanced +. The SimpleWAN Wifi LTE Hotspot Bridge Dongle enables Wifi Hotspot to bridge with the LTE device of any provider for Wan or Backup.This bridge allows users to connect the primary WAN or secondary WAN (for failover) to any 3g, 4g, or 5g wireless Internet device. It's compatible with devices from AT&T, Verizon, Sprint and T-Mobile, and the majority of US wireless carriers. It is ideal for wireless backup or remote locations that can only get cellular wireless as a primary Internet connection.